We are four MSc. Biomedical Engineering students in Trinity College Dublin with a passion about science and technology and their potential translational use into Medicine. In remote and insecure regions, finding specialised medical skills, equipment and items can be impossible. Whether these may be custom-made rehabilitation items, replacement parts for a medical device, or unforeseen objects needed to prevent or treat a medical condition, these items are normally only as close as a major hospital in a far away capital. The goal of this project is to design and develop 3D-printed medical devices for humanitarian use. Using 3D printers and software, we have designed and developed three innovative products, listed below. Our aim is to create low-cost, personalised medical supplies exactly where they are needed using 3-D printing. By using SolidWorks software, we are able to create customised medical equipment in minutes. 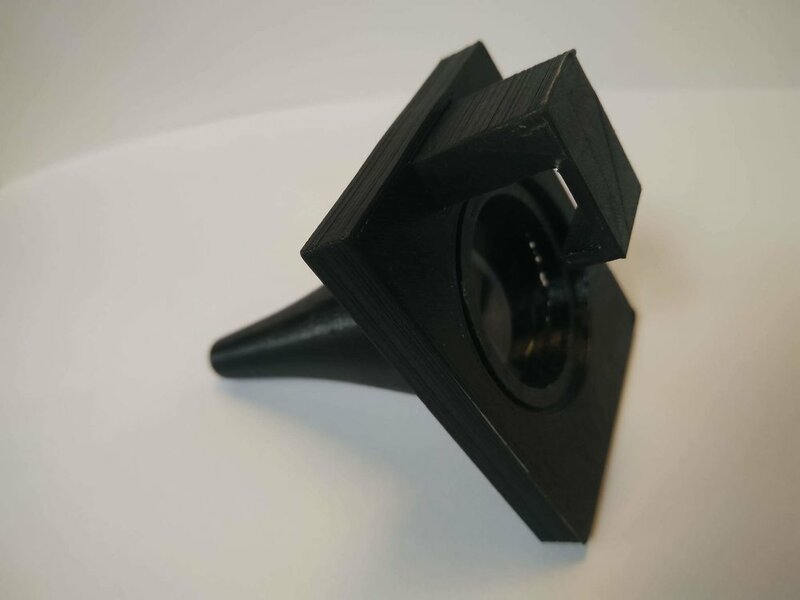 The advantage of this project is that the scripts can be downloaded anywhere in the world and with access to a 3D printer, medical devices can be customised and printed! Since symptoms of ear disease are relatively few in number and frequently nonspecific, a clinical examination of the ear is important in the management of ear disorders. When a patient complains of ear pain, examination of the ear is indicated to differentiate whether the patient’s disorder is an ear infection or a disorder originating in adjacent structures, such as the tempomandibular joint, the teeth or the tonsils. As the only window into the middle ear, the appearance and behaviour of the tympanic membrane offer valuable information about possible disease within the middle ear. Fortunately, the ear provides easy access for examining and diagnosing disorders of the complex and interrelated ear, nose and throat system. The otoscope is one of the primary methods a practitioner uses for diagnosing patient complaints for the entire ear-nose-throat complex. 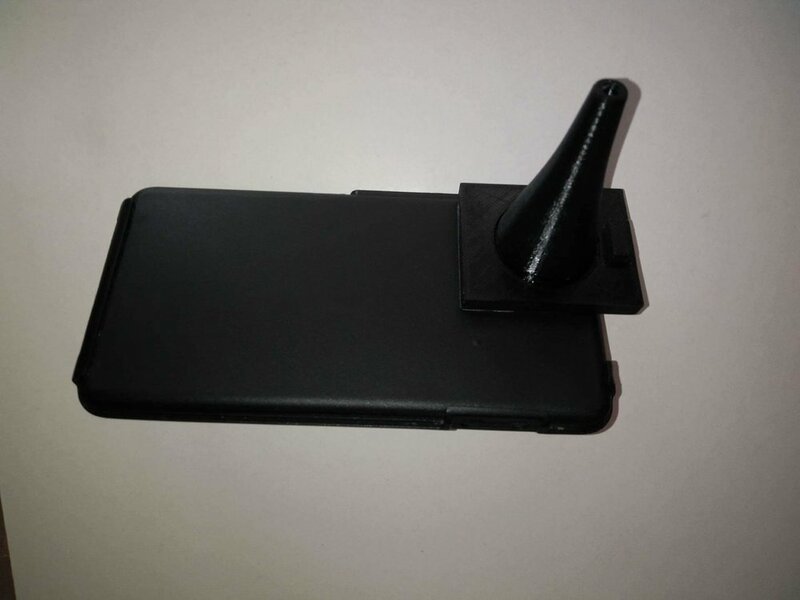 This cell phone adaptable otoscope contains five 3D printable components: a specula, a base, a phone clip, a lens cap/holder. The device design operates on the same principle as a traditional otoscope but instead enables utilisation of a cell phone camera and flash LED to mimic the components of a traditional otoscope with the added benefits of the camera app settings to produce higher quality images that can be more accurately resolved, focused, zoomed in, video recorded and stored on the phone. The purpose of the device is to provide a low cost, high quality alternative to traditional otoscopes and commercially available cell phone otoscopes. A wrist sprain is quite a common injury, which usually occurs after a fall onto an outstretched hand. Other accidents or impacts can cause a sprained wrist, although it usually involves the wrist being bent either forwards or back. A wrist splint is a brace that looks like a fingerless glove. It stabilises your wrist in a straight and sometimes slightly bent-back position. Wearing a wrist splint minimises pressure on the median nerve and allows you a period of "relative rest" from movements that make carpal tunnel syndrome worse. 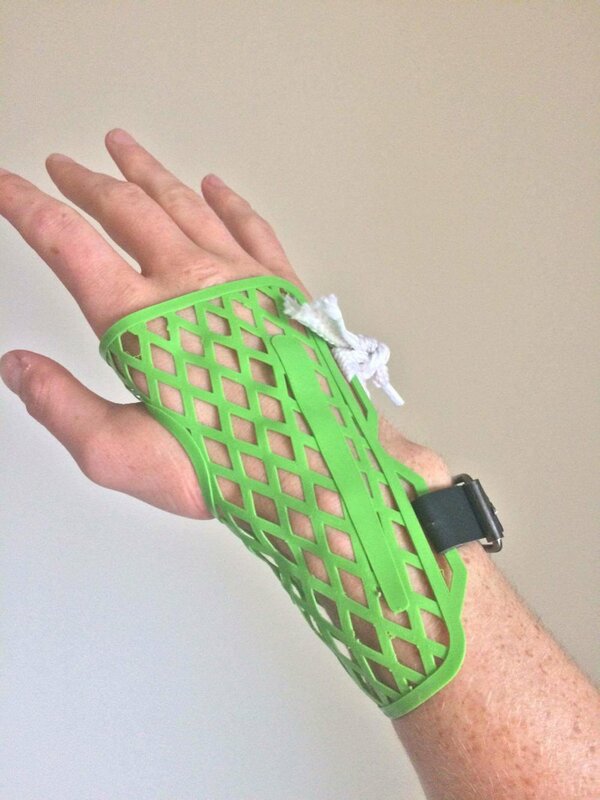 The 3D printed wrist brace is made using a flexible material (PLA) that allows those wearing them a greater range of hand motion, and the ability to avoid using medical splints that are often not made for the specific needs of the patient. They can be 3D printed in just about any colour imaginable, and even customized with any type of design or pattern that the patient can imagine. The wrist brace can be tied together using any type of material such as a shoe lace or a belt buckle. The wrist brace can be adapted to the individual's wrist shape by simply placing it in boiling water. 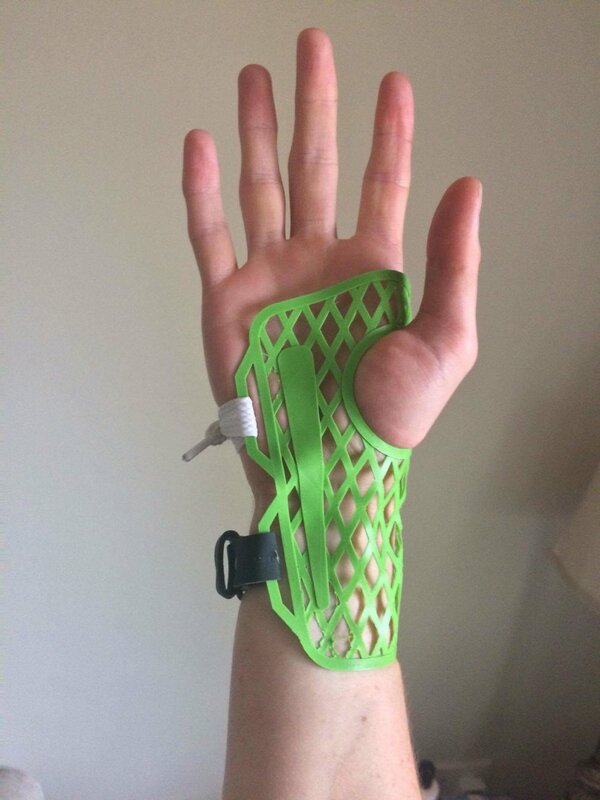 Once the 3D printed brace is removed from the hot water, allow a few seconds to cool and then place the brace around your wrist to mould it to your unique shape shape. The Fetoscope, also known as the Pinard Horn, is a type of stethoscope used for listening to the heartbeat of a fetus. It is used by doctors, nurses, and midwives all over the world. A fetal heartbeat can also be monitored using a Doppler, but the Pinard Horn is considered to be a more practical, less expensive, and safer alternative (it does not pick up sounds that are further away and there is thus less chance of incorrect reading). The base and length were increased to make the fetal heartbeats more audible.